San Francisco Flair: Lisa's BMW 1600 "Derby"
Anyone who has followed our blog over the last year surely remembers our first story about Lisa, which featured her incredible Schwarz 2002, "Tesoro." Now Lisa is back with yet another project, which is a different flavor from the usual, and an entirely unique classic. As somewhat of an unplanned purchase, this 1600 was imported late last year, and roadworthy here in the States by January. The car is mostly original, having undergone a mild restoration some 10+ years ago. 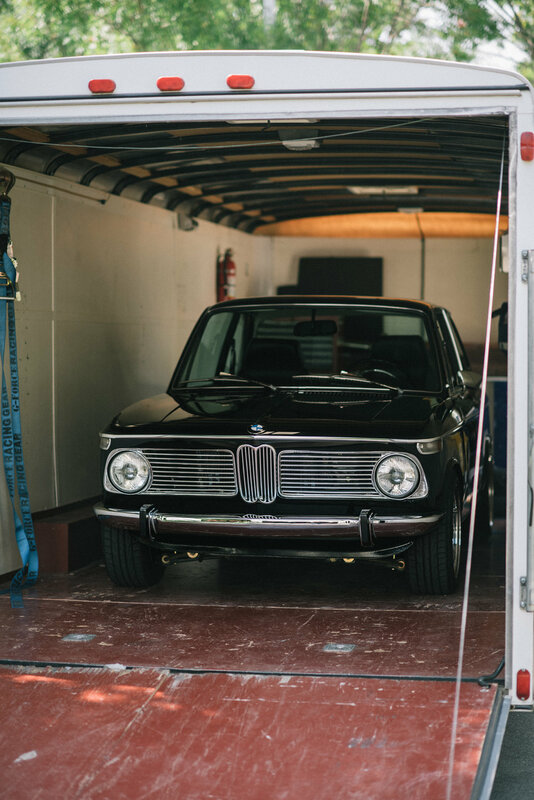 Lisa prides the little car for its originality and rarity, and feels an obligation to maintain its condition in order to educate those who aren't familiar with this portion of BMW's history. The 2002 is arguably one of BMW's most beloved vehicles to have ever rolled off the assembly line, and Lisa knows this better than most. That's why this early 1600, in its museum-esque state, is so special to her. We met up with Lisa in San Francisco a few weeks back to shoot in various parts of the city. From the Haight-Ashbury intersection to Crissy Field, the car looks good just about anywhere you put it. Please enjoy the following photo gallery, and look for more of Lisa's classics coming soon!